In order to manufacture concrete blocks such as hollow block, paving interlock block, curbstone (or Kerbstone) etc. it is obviously necessary to have a concrete block machine. The process for manufacturing concrete block is fully automatic. 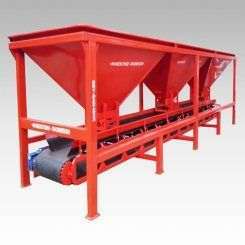 However, depending on the market you can have semi-automatic concrete block machine (also called manual concrete block machine) or fully automatic concrete blocks making machine. Still, you will probably notice a considerable difference in the raw materials and molds used by every manufacturer. This is another topic! 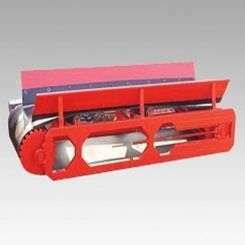 We will not talk about those dissimilarities in molds but instead the different types of concrete block making machines you will undoubtedly find on the market. We have made our concrete block machine for sale with good price this year please contact us for more information about our concrete block machines. 1. 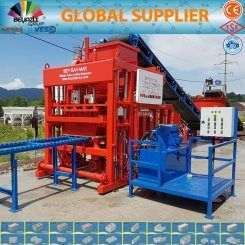 How to choose a cement block making machine price? If you search “cement block machine for sale” in an engine like Google, you will probably have millions of result. That will almost be the same number of the result if you have search “block machine price list” or “solid block making machine price” instead. It will not be easy for you to choose the best website and then buy a machine that suits you. Is this machine reliable, robust and solid enough to produce quality blocks? Does the machine have all the features required for producing different types of concrete blocks? What are the prices and discount available? Do we have alternative and cost-effective concrete block machine with the same features? Concrete blocks are manufactured in required shape and sizes and these may be solid or hollow blocks. A paver is a block made of stone or concrete used for paving the roadway or backyard of our houses. 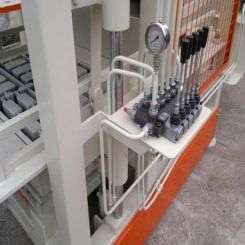 If you have sufficient and reliable answers to these questions, you will make the best choice of a cement block making machine that produces hollow blocks, paving interlock blocks, curbstones, and many other types of concrete block. The next article will be about the different types of concrete blocks. please check below concrete block machine price list to get more info about price of these machines too. These price are change according to production plan or customer requirment so please choose your machine or contact us to give you more details about diffirent kind of machine. 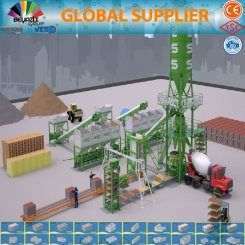 Some customers are looking for used concrete block making machine for sale. Customers are willing to buy this type of machines generally for some economic reasons. Most of the customers do not assume the fact that they do not have enough money. In this case, BEYAZLI GROUP can provide you a used concrete block-making machine with two years of warranty. Recently we have deliverd and installed our concrete block making machine (brick making machine) in Mali, Algeria and Libya and also we have deliverd our conrete block machine to Saudi Arabia,Georgia,Yemen, South Africa, Turkey, Uzbakistan,Ghana,Russsia,Malawi,Sudan. High-quality concrete block machine for sale plesae check below price list and contact us for more info and shipment details and discount. The technology used for the manufacture of our concrete block machine meets European standards. The technological part of the machines is generally similar to Siemens technologies because we are using some Siemens equipment. The use of the latest technology on these concrete block machines has made a difference in terms of quality. 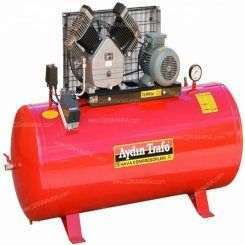 A very high power heat engine allows a vibration frequency of more than 4500 rpm. The format of the blocks or pavers depends on the choice of customers. 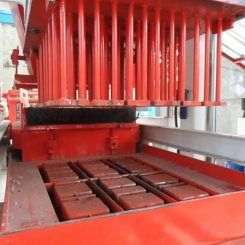 The concrete block machine has the possibility to produce blocks with a size between 2 cm and 160 cm. The machine produces between 4 and 72 blocks in a single press. This technology allows you to produce all these types of concrete blocks in different color and pattern. If you are looking for a concrete block machine for sale, you can visit our products on the website. After purchasing the machine, we deliver three molds to the customer depending on his or her choice. 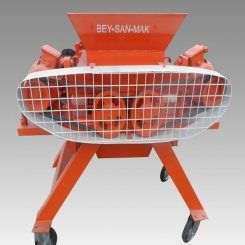 The Compact concrete block machine is a multi-use cement block machine and ready-mix concrete plant (concrete batching plant) used for the manufacture of brick, cinder blocks, curbstones, pavers and miscellaneous. It is equipped with various systems (semi-automatic, automatic and full automatic according to the customer's request). The equipment is delivered to the customer after the signature of the official contract. No additional costs are included after the purchase apart from the installation space that the client will have to build. At least 1,500 m2 is required for production, drying, and storage. The roof is not obligatory but 1/3 of the production space must be covered with concrete. The customer has the choice to add the additional equipment or to reduce it according to his choice. Below is the operation of the paver. This description could be different depending on the cement block machine you a planning to buy. You can see the different types of machine by visiting our products page. 4. How to build the backyard of your house with paving stones? When you want to build the backyard of your house or your garden, it is better to work with a landscape architect (not a building architect) and a designer to scheme a landscaping plan. These professionals will know how to create the perfect project and design for your outdoor environment taking into account your environment size, your lifestyle, and your budget. Landscaping is a significant investment but may have a very long life (10 years or even more) if you choose the best quality of concrete blocks. It is therefore important to make informed choices to be comfortable with your decisions for many years. A well thought out landscaping plan can help you avoid unplanned additions and especially inconvenience. Before meeting your landscape designer, it would be better to make a list of priorities and details to get started. of request for this machine. Why it is Called Manual Concrete Block Machine? produced block from this machine is collecting by hand for that is it calling manual concrete block machine. If you are new in this business you can select this machine because it is cheaper then other concrete block machines and easy to use. In the market, you can find a lot of cheap copies of concrete block machine claiming to be authorized by manufacturers or supplying the same. This is not true. It is easy to copy physical features of a concrete block machine but the know-how in how to produce quality bricks is not copied and we are seeing many bad bricks and structures in the field as a result. Many clients have purchased these fake machines and after two months they get back to us and request machine form us. 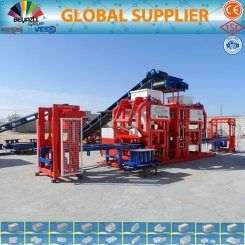 our machine has grantee so you can trust on our company and we can help you to build your concrete block production company.